On March 28, the CAQ government tabled the controversial Bill 21. This is the provincial government’s fourth attempt at limiting the religious freedom of religious minorities. The bill seeks to ban public workers in positions of authority from wearing religious symbols and to limit the range of accommodations that can be made on the basis of religious beliefs. Those directly affected include crown prosecutors, government lawyers, judges, school principals, vice-principals, teachers, and any public employee who carries a weapon (i.e. police officers, courthouse constables, bodyguards, prison guards, and wildlife officers). The grandfather clause of the bill allows current workers who wear religious symbols to keep their jobs so long as they stay in the same position, thus preventing any job mobility. Another section of the bill stipulates that people whose faces are covered cannot use state services such as public transport, the legal system, and subsidized daycare without unveiling themselves in order to be identified. By banning the wearing of religious symbols and limiting access to public services, the bill explicitly targets Muslim people who wear the hijab, burqa, and niqab, Jewish people who wear the kippah, and Sikh people who wear the turban. The settler-colonial Québécois and Canadian states have been interested in forced assimilation since their foundation, and Bill 21 is nothing but another step in this project. By targeting these groups, the bill aims to erase the identities of those deemed “other” by a white, supposedly secular, French-Canadian society. Beyond religious discrimination, the fact that the bill will predominantly affect people of colour makes it a part of Quebec’s racist and colonial assimilation project. In the aftermath of the Christchurch massacre, Quebec Premier François Legault stated, “I don’t think there is Islamophobia in Quebec.” This shows his complete disregard for the Quebec City mosque shooting in January 2017, and for the harassment that Muslim women across the province regularly experience on the basis of their religion and race. Bill 21 forces Muslim women to unveil themselves in order to use state services and limits their economic opportunities. Bill 21 is therefore Islamophobic. The National Council of Canadian Muslims opposes the bill, stating, “we are now facing the blatant legalization of discrimination against minorities.” They have asked for the bill to be withdrawn and have already said they intend to fight “by every means available.” Two Montreal school boards have announced their refusal to enforce the bill: the English Montreal School Board and the Lester B. Pearson School Board. On April 5, SSMU firmly denounced Bill 21, saying that “this unnecessary bill will only exacerbate division in our society, and further marginalize communities already targeted by white supremacy.” There are also three demonstrations planned – one on April 7, one on April 12, and one on April 14. The opposition to the bill is encouraging; it shows that many in this province are committed to fighting racism, anti-Semitism, and Islamophobia. However, given the CAQ majority in the National Assembly, it will take a huge amount of pressure for the bill to be retracted. We all have a responsibility to stop Bill 21. 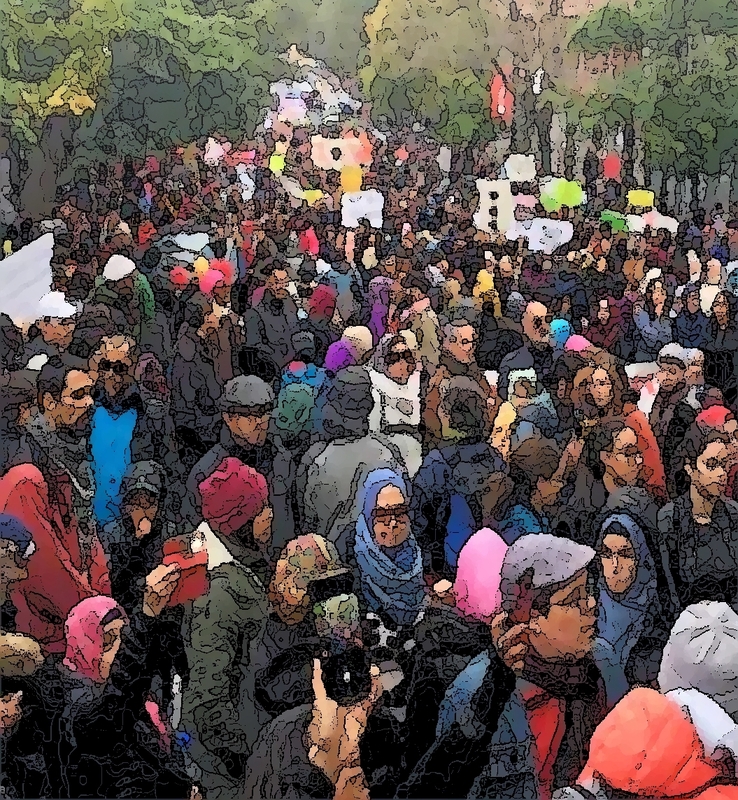 We urge you to join the sit-in in front of the Ministry of Immigration, Diversity, and Inclusion (287 Notre-Dame Street West) at noon on April 12, as well as to attend the demonstration on April 14 at Place Émilie-Gamelin (Berri-UQAM). We also encourage you to sign the open letter condemning Bill 21.